The perfect rack just got better. They have made the originals modular, which allows for easier storage in the store and in your home. New swedge design facilitates quick and easy assembly and disassembly for storage. For receiver style hitches, a drawbar and hitch ball are required. The ball mount foot allows for installation on any hitch. Generous spacing between the large v cradles allows for easy loading and ample distance separating the bikes during transportation. 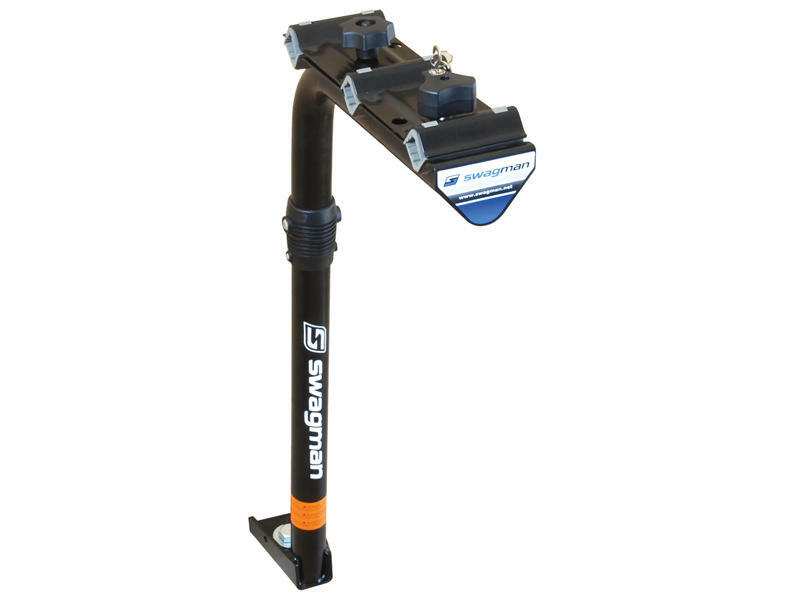 The rack includes Swagman's unique Kraton gripper cradle surface to hold the bikes securely in place. The design of this carrier makes it strong, durable and versatile.